How did you feel when you learned of his alleged killing? I felt devastated, confounded. I could not imagine that Lowo, with whom I spoke five days before that fateful day, could have life snuffed out of him in his prime. Lowo was everything to the family. He was the bridge between the old and the young. He unified everybody in the family. He was a comforter to everybody. I sponsored his university education. I never knew that I was never going to see Lowo again. He always said that ‘I know we don’t have money in our family, but daddy, if God spares my life, I would put smile on the face of everybody.’ He was struggling. He attended Obafemi Awolowo University (OAU), Ile-Ife, from where he moved to France to continue his post-graduate programme. Since 2006, he only came back to Nigeria in 2012. His wedding was on 8 February and 9 February, 2013. We sponsored the ceremonies. If there was a comedian in the family, it was Lowo. He had a high sense of humour. 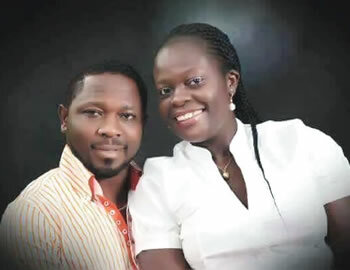 We were jolted when we were informed that Lowo had been stabbed to death by his wife. The wife had previously boasted to the woman that took her husband to the hospital after the first attack that what she did was just a tip of the iceberg. The woman said she was oblivious of the seriousness of her statement because all she was concerned about at the time was to save Lowo’s life, otherwise she would have recorded her statement. The police had invited the woman to give her statement concerning the incident. The doctor who treated Lowo had also been invited by the police. This is a clear case of murder. 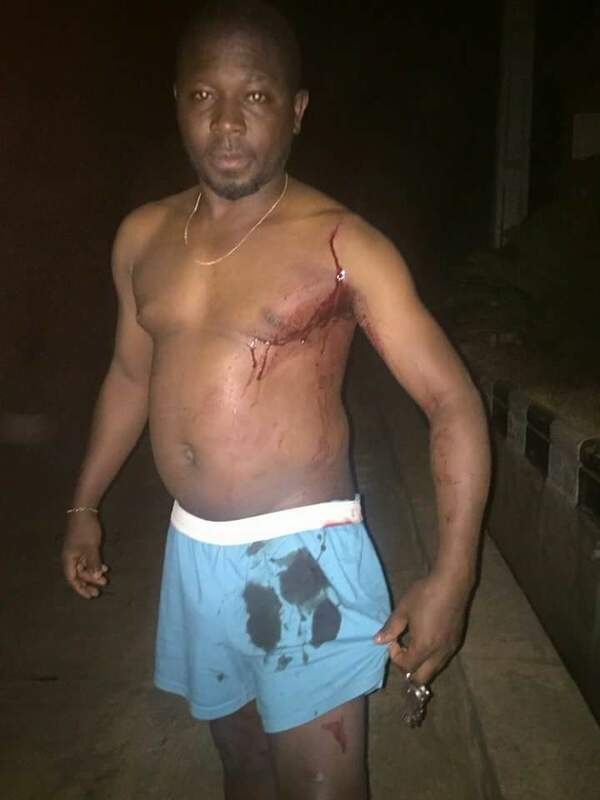 The knife that she used to stab Lowo was found in the pool of his blood. It is in the picture. The only thing that is giving us concern is that we cannot find his cell phone. The world is a global village and it would be easy to get his last conversation on the phone through the GSM network provider. His death is a colossal loss to us. We had to take our aged mother to Ife under the pretext that she was going to see her doctor so that she would not know what had happened. For the fact that Lowo spoke with her about four days earlier, she could not suspect that he had died. Lowo’s death is like a conspiracy, a grand design to just snuff the life out of him. If you look at the picture of the first and second attempts, you will know what I am talking about. They were married for about three years, but Lowo had a girlfriend in France and along the line, she got pregnant for him and bore him a male child about a year ago. But, Lowo’s wife stumbled on that information and that was the genesis of the crisis. Since then, there had been angry disputes between them. I was aware that Yewande’s family invited them and settled the matter. Her parents told her to accept what had happened because there was nothing she could do about it. Perhaps she had a plan unknown to Lowo. I remember that Lowo confided in me that Yewande told him that he should not let our family know about his girlfriend who had had a child for him back in France. We are worried about the desperation of Yewande’s parents. Her father is a retired permanent secretary. Former Governor Rashidi Ladoja was the chairman of Lowo’s wedding ceremony. Besides, Yewande works as a counsel in the Oyo State Ministry of Justice, at the Department of Public Prosecution (DPP). If an incident of this nature happens, it is her office that treats it and makes recommendations for trial. Before this incident, was there any time that you settled a quarrel between the couple? Honestly, there was never a time that we settled a dispute for them. The only thing we noticed was that on their wedding day, she was brought here so that they could pour water on her legs. They wanted to get water from a bowl but she refused. So, we had to get bottled water and then the wife of the Olufi of Gbongan poured the water on her feet. That was the last time we saw Yewande. There was not even a phone call from her. Before the wedding, when Lowo complained, I said it was not by force; that we should call off the wedding if necessary. All along, whenever they fought, Lowo would say that her father was a very good man. With the way they are acting, we hope that the Ministry of Justice where Yewande works will not pervert the course of justice in this matter. We are not ready to tinker with anything but let justice be done. They met the way every other man and woman would meet. Coincidentally, Yewande’s younger sister is also married to somebody from Gbongan. They are in America. Now, somebody in France did not want to marry a French national. He preferred a Nigerian who was educated and reliable and within five months, they met. It was my wife who bankrolled the journey of Yewande to Dubai, where they met. What does the family want now? We want justice and fairness. We want justice to take its full course so that the matter will not be swept under the carpet. The news is all over the world. Somebody just called me from Canada about it. Justice must not be subverted. I asked Yewande’s father how he would feel if it was his daughter that was killed. What they would be planning now is how to defend Yewande in court. We cannot find Lowo’s international passports. They have packed everything, both his Nigerian and French passports. The documents of his company, we could not find them. His business partner in Sweden, whom we called, said all the original documents were with Lowo in Nigeria. He said that he only had the photocopies. Lowo’s death has created a big vacuum in our family that will be difficult to fill. He was just 38 years old, cut down in his prime. I couldn’t go to their house ‘cos of her —Abisola, Lowo’s niece How would you describe Lowo’s death? I would describe it as disaster. It was not expected at all. The morning of the incident, I woke up in tears even without knowing that something terrible had happened. I went into my dad’s room and asked if he slept well. I told my mum about the tears in my eyes and the dream I had. So, we decided to pray. But my father’s brother called us about five times. My mum asked dad to answer the call, so he picked up the phone and said, ‘Deji, I will call you back. We are praying.’ But Uncle Deji asked my dad not to hang up the phone. He said Uncle Lowo had been killed. After they got married, Yewande chased everybody away. I couldn’t go to their house because of her. When the incident happened and we got to the police station, Lowo’s corpse was not there and Yewande was not there. We learnt that she was in the hospital, receiving treatment. Their landlord told us that when she first stabbed him, she threatened that ‘I will kill you today.’ The killing was absurd. 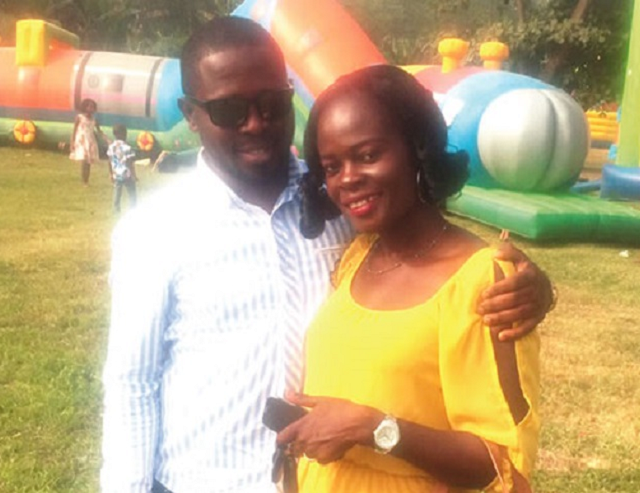 I helped her marry him, now she’s killed him –Bunmi Oyediran, sister-in-law You facilitated Yewande’s visit to Lowo, how? I bought the air ticket for Yewande to meet Lowo in Dubai. Now, she has killed him. If you called Lowo and he was with his wife, he would say ‘I will call you back.’ He had so much fear for his wife. If his wife was not around, he would call and say that we should come and play with him. Since the day of her wedding, Yewande never stepped into this house. Her father even called me one day after the wedding, cursing me that I did not put clothes in her wedding box. 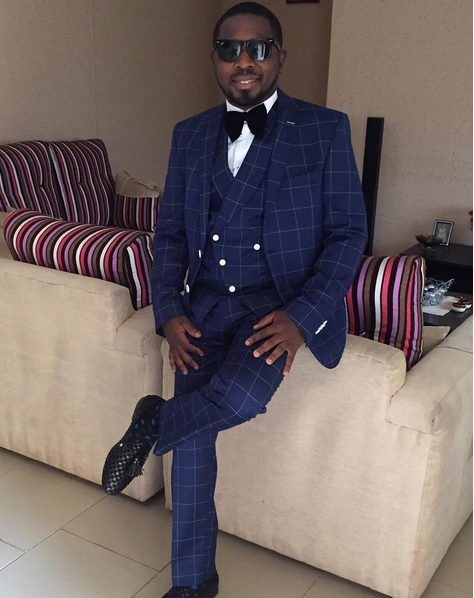 My husband trained Lowo after he left secondary school. Lowo was everything to me. He understood me and knew everything about me. If I was angry, they would call Lowo to talk to me. They have taken him away from me. I cannot see Lowo again! Yewande’s father was begging me yesterday. For what, after the deed has been done? When I was pregnant with my youngest child, I never knew. Lowo encouraged me to take a medical test, which confirmed the pregnancy. This was because I was already over 40 years when I got pregnant. Lowo said I should come to France and relax because of my age.